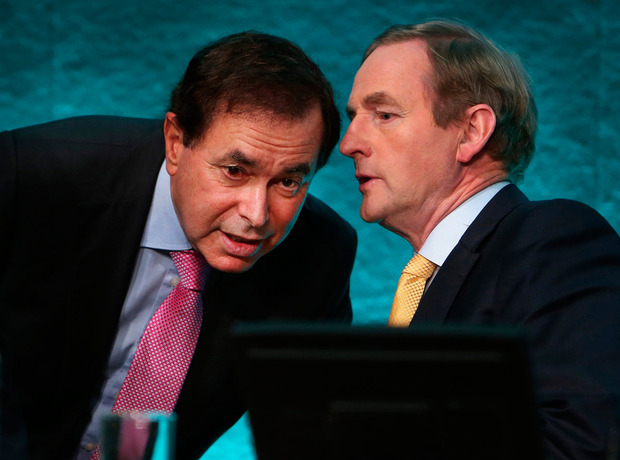 FORMER Justice Minister Alan Shatter has launched a scathing attack on Taoiseach Enda Kenny, accusing him of “misuse of power” and putting his own political survival ahead of his party and the country. Writing in today’s Sunday Independent, Mr Shatter says Mr Kenny has “no moral compass” and is running Fine Gael as “some sort of semi-secret society” in which it is acceptable to “destroy” those who speak out against the leader. He warns that Fine Gael will be in opposition with a “substantially depleted” parliamentary party if Mr Kenny remains at the helm of the party for much longer. He also criticises Mr Kenny’s potential successors who he says will not speak out against the Taoiseach because they fear a “premature move or critical comment could scupper their chance of leadership”. “Enda Kenny has only one strategy — continuing political survival and to remain Taoiseach and in government for as long as possible. Retention of power is the only game in town,” Mr Shatter writes. “Principle, values, fiscal and economic objectives, social priorities, concepts of public service and of the public good or the long-term political health of the Fine Gael party, have long ceased to be his primary focus when determining how issues should be addressed,” he adds. He says there is a “sense of impunity and no fear of accountability” among Mr Kenny and his advisers. “The belief of the Taoiseach and his closest advisers is that all difficulties that arise can be controlled and managed and, where necessary, by facts and events being spun and distorted,” he says. “It is acceptable, where desired, to destroy or attempt to destroy the reputation, career or wellbeing of individuals and sabotage the election campaign of any out-going TD or party member who has the integrity or courage to challenge fabricated stories, self-serving spin and misuses of power or where it is feared such conduct will be challenged and exposed,” he adds. Cormac McQuinn There is anger among parents over Social Protection Minister Regina Doherty's suggestion that money is not the reason for the low paternity leave take-up among fathers. Cormac McQuinn Minister Regina Doherty has come under fire for suggesting money worries are not the real reason for the low take-up of parental leave among fathers.